The Peltor 3M Optime III overhead earmuff is a high performance hearing protector and has been developed for use in extremely noise environments. Hi-vis for workers who need hearing protection and be extra visible. Height adjustment and flexible to fit the shape of head. The 3M Peltor Optime III sealing rings are broad and filled with soft plastic foam for a great fit. 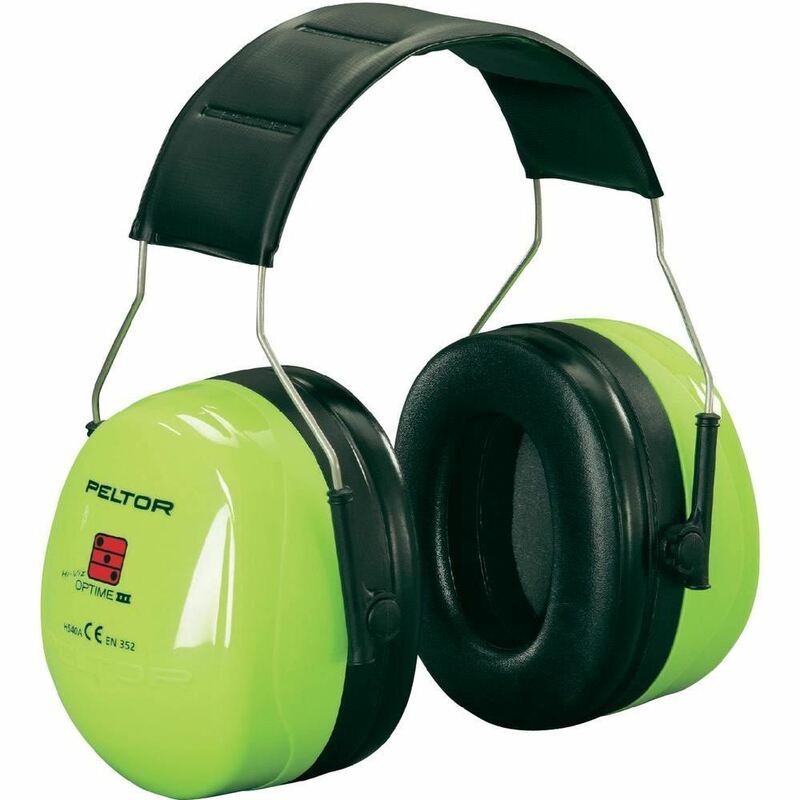 3M Peltor H540A-461-GB Optime III Ear Muffs conform to: EN352-1 H=40dB M=32dB L=23dB, SNR=35dB.